Across Oakland’s diverse populations and neighborhoods there is a movement that’s literally growing healthier choices for local communities. 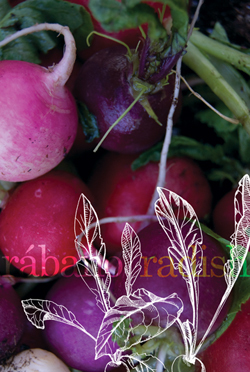 From West to East Oakland and all the blocks in between, home and community vegetable gardening has taken root as a viable alternative to the highly processed and nutritionally bereft factory food that dominates in many areas. Given the high incidence of health problems in neighborhoods where most food comes from the corner store, this act of growing your own fruits and vegetables is nothing less than life-saving. 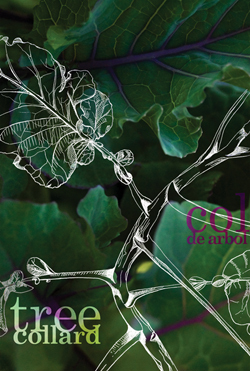 A Tree [Collard] Grows In Oakland celebrates this momentum towards nutritional self-determination with a focus on some of the key plants found in local food gardens around town. 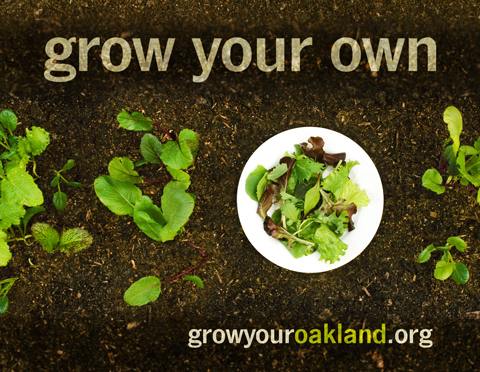 Plants were chosen from Grow Your Oakland community members’ suggestions on the easiest food to grow—all four of these plants can be successfully cultivated by anyone with a pot of dirt and access to sunlight. A Tree [Collard] Grows in Oakland is part of Intersection for the Arts' Let's Talk of a System exhibition and is a collaboration between Molly Bradley, Martha Chong and Querido Galdo. 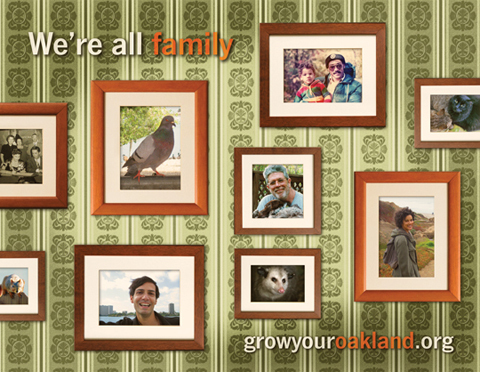 Grow Your Oakland started with the seed of a grant to create accessible visual messages about basic actions and perspectives that change our relationship to our daily surroundings. 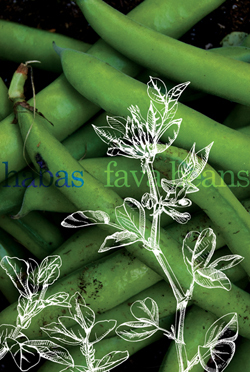 This mouthful turned into three large-scale posters about growing your own food, noticing the sky over your head, and respecting animal life. 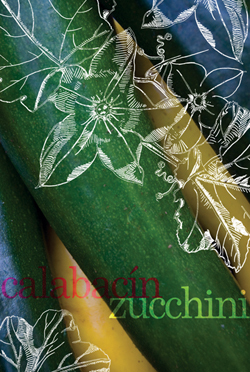 The posters were on display at West Oakland and MacArthur BART stations and adapted for a billboard in West Oakland.